Saturday's early action saw Lazar Markovic light up Sunderland, while Chelsea seized the initiative over City in the 3pm kickoffs. Here is recap from the early kick-off between Liverpool and Sunderland, along with all the 3pm games contested. Liverpool continued to gain a full head of steam with momentum and confidence after a goal from Lazar Markovic lifted the Reds to a victory at the Stadium of Light. Early on, the Serbian exploded into the box, his pace uncontrollable for the stagnant Sunderland defence. He went down under a Wes Brown challenge but to the fury of the visitors, the referee waved it off. A few minutes later, however, they were thankful to Craig Pawson, after an advantage played lead up to the one and only goal of the game. Fabio Borini appeared to be taken down on the edge of the area, but it came through to Markovic who clipped it past Pantilimon. Liverpool's No.50 was up for it, and it showed. An acrobatic, audacious volley attempt smashed the woodwork and a dominant first half ensued. Lacking creativity and on the receiving end of an onslaught, Gus Poyet's men were pushed back by an abundance in chances. Gerrard's shot was flicked onto the keeper. Coutinho's numerous attempts drifted wide, but they couldn't just seal the game. Adam Johnson left both the bar and away fans trembling as he was inches away from finding goal. He let fly from outside the box, and a stunned Mignolet was fixed to the ground as it ricocheted off the crossbar. Bridcutt's sending off put the hosts down to 10-men and Liverpool went on to take a rare clean sheet, continuing their march for a top-four spot. Manchester City were pinned back in the title race as a quick response from Steven Naismith held them to a draw at Goodison. Ross Barkley came closest out of a frantic yet goalless opening half. The Englishman hit the bar with his fine effort. In the second half, Fernandinho finally found the breakthrough, heading in close-range from a corner kick. However, it wouldn't last long. Leighton Baines once again sparked magic with a set-piece, finding his Scottish teammate to head in past a furious Joe Hart. Ultimately, a draw was a deserved result. 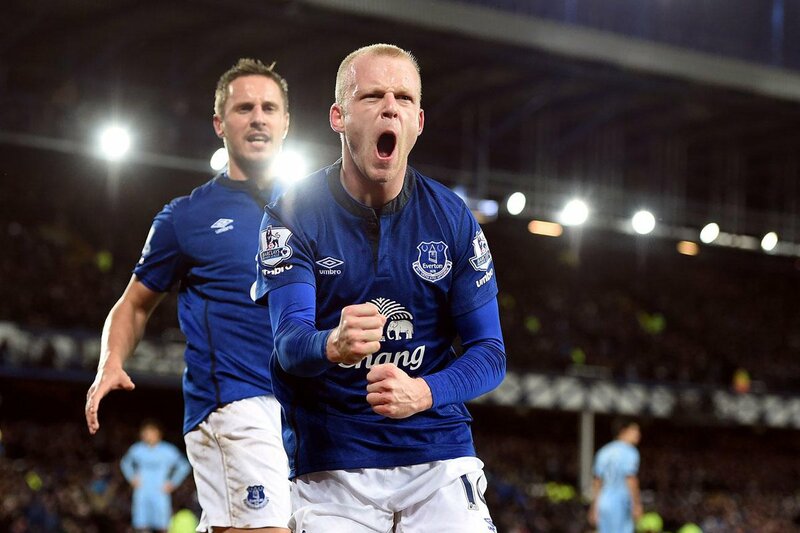 End-to-end with some fantastic action, it was only right that Naismith got the equaliser for Everton's efforts. Leicester City continued their course for survival as the bottom side embraced a big home win over Aston Villa, following a goal from Paul Konchesky. A game which featured two sending-offs later, to Matt James and Ciaran Clark, would always swing in the favour of the Foxes. David Nugent missed a gift of a chance when the ball was threaded through to him, but he slashed it wide. He'd come closer on the stroke of half-time, with his strike rattling the cross-bar. 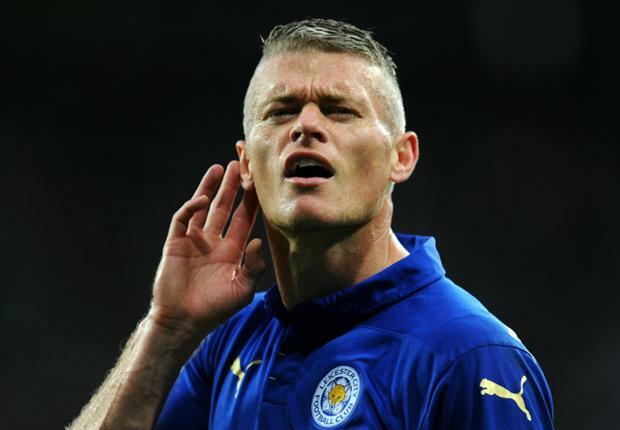 As opportunistic as ever, Paul Konchesky darted to score on the response. 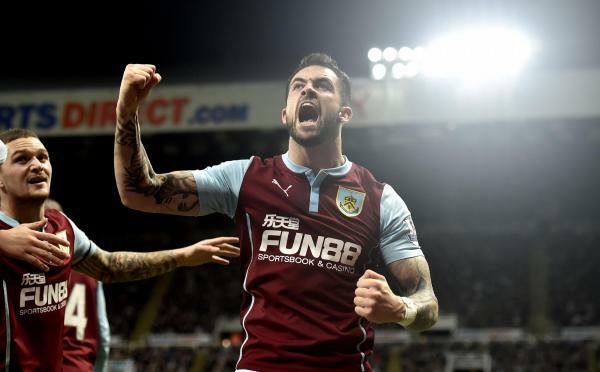 Burnley climbed out of the relegation zone as they pipped fellow promoted side Queens Park Rangers for a crucial win at Turf Moor. A marvellous run from Scott Arfield ended up with an early opener, evading two challengers before curling into goal. But, after half-an-hour passed, Charlie Austin would add another goal to his large tally, scoring from the penalty spot. Austin was initially fouled by Dean Marney in the box. Burnley would go into the break leading, and that would stay the same for the course of the match. Danny Ings controlled a high ball before firing into goal. Chelsea took the advantage in the title race and bounced back from a loss to Spurs in the process as goals on either half lifted them over Newcastle United. A positive start from Alan Pardew's side was highlighted by Sissoko rattling the woodwork, as they looked to stun the Blues like they did earlier last month. However, time told and Chelsea were able to flow in their own environment, relishing the home support. A corner was quickly taken catching the Magpies off guard, leading to Oscar tapping in from close range. Now in their element, Chelsea were playing it all around the park. It ended with Diego Costa packaging a sublime low strike as Chelsea secured a 10th straight home win. 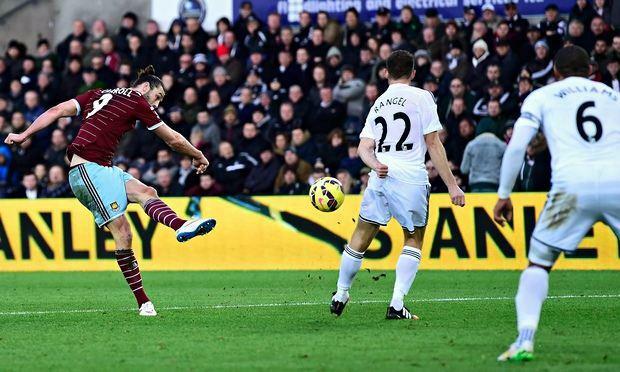 Mark Noble's own-goal gave Swansea back a point as they drew level with West Ham in Wales. Despite starting positively, chances were not struck upon effectively, and Andy Carroll made them pay as his shot was arrowed in from a cross. They continued the fight and weren't letting back. Marvin Emnes made a huge difference, where his header came to Gomis. Mark Noble in an attempt to stop it ended up putting it into his own net. The Hammers fought valiantly for three points but couldn't find it. Saido Berahino gave Tony Pulis his first win in charge at the Hawthorns after a late strike sealed three points against Hull City. Ideye came close early on in the game but wrecked the chance when going one-on-one with McGregor. He slotted it wide. Nikica Jelavic and Abel Hernandez were both ruled out with injuries in the first 45 minutes, parching the Tigers of the conviction they desperately needed in front of goal. The winner would come following a back-pass, as Allan McGregor picked up Elmohamady's back-pass. 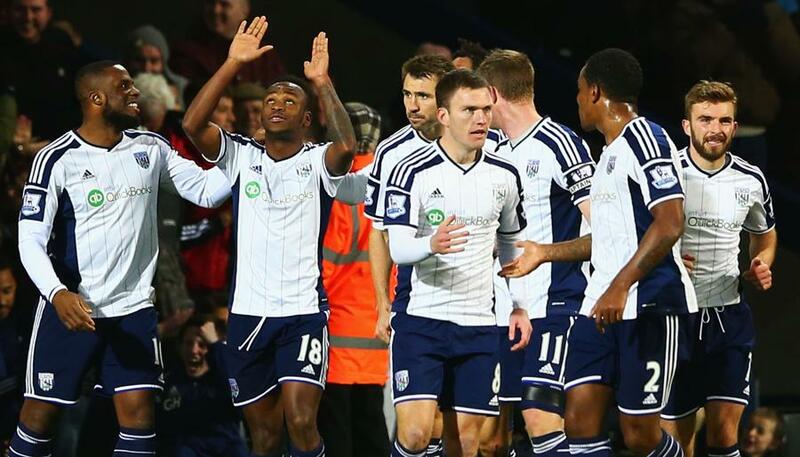 Berahino scored the indirect free-kick attempt for a ninth league goal. Chelsea take the lead in the title race, Liverpool's confidence grows, relegation battles tighten as we march on in January. 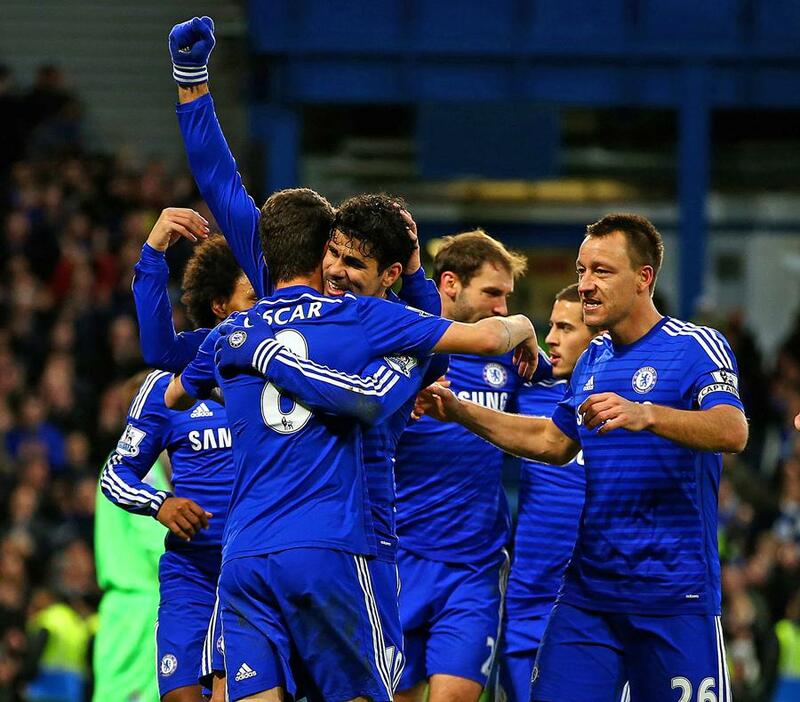 Roundup and recaps from all the 3pm games featured in the Barclays Premier League on Saturday 10 January 2015.